Thankfully, life insurance is flexible and can be adjusted to fit your needs. If you recently received life insurance quotes and you’re not satisfied with them, don’t give up. Life insurance is important and we can help find a policy that works for you. The life insurance industry is highly competitive. There are hundreds of companies and agencies offering life insurance quotes hoping you purchase coverage through them. Perhaps one of the reasons below may be why you’re not feeling 100% about the quotes you’ve received. The premiums are too high. The coverage amount isn’t enough. I need term life, but was given whole life quotes. I need whole life, but can only find term life quotes. We’ll tackle each of these issues one by one. My life insurance quote is too expensive. Whole life insurance is more expensive than term life insurance. Be sure you know the differences before getting life insurance quotes. Whole life insurance is a type of permanent life insurance and lasts your entire life. It also accumulates a cash value and can pay dividends. Because of these benefits, whole life insurance premiums often cost ten times more than a term policy with the same face amount. As long as you keep the policy inforce by paying your premiums, your beneficiaries will receive a death benefit when you die. Term life insurance, however, is temporary. The premiums are much more affordable, but the death benefit is only paid to your beneficiaries if you die during the term. Common term lengths are 10, 15, 20, and 30 years. For example, if you were to buy a 20-year term policy and died in a car crash in year ten, your beneficiaries receive the policy’s face amount. If you buy a 20-year term policy and died in a car crash in year 21, your beneficiaries do not receive anything. After the term length is over, the policy terminates unless you renew or convert it. A good strategy is to ladder policies to ensure you have appropriate coverage, but we’ll visit that topic later in this post. 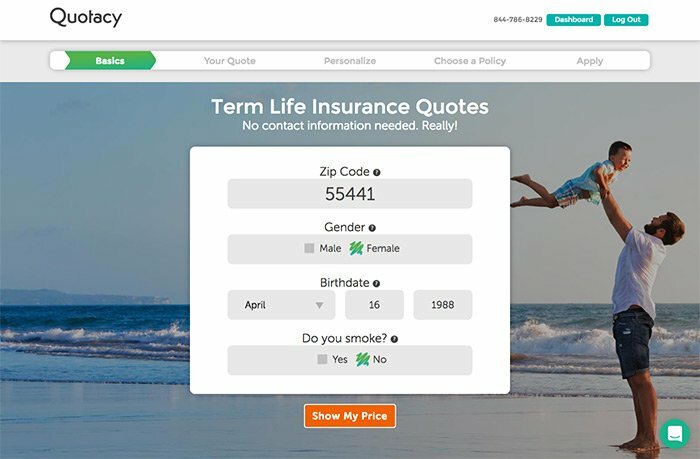 Term life insurance is very customizable. If you believe your term life insurance quote is too much money, try lowering the face amount (a.k.a. the death benefit amount your beneficiaries receive) or the term length. Try it out now with our life insurance quoting tool. Use the sliders to easily adjust the term length and coverage amount to see how it affects the premium. My life insurance quote’s coverage amount isn’t enough. Everyone has an insurability limit. This is the total amount of life insurance coverage that can be on your life at any given time. This limit is usually quite high and most people don’t have a problem staying under their limit. The general insurance rule for most people is that if you’re 40 years old or younger, your life can be insured for up to 25 times your current annual income. Every ten years after age 40, that multiplier is reduced by 5. That means that from ages 41-50, you can get 20 times your annual income in coverage, 15 times your income from age 51 to 60, and 10 times your income until age 70. For example, if you’re 35 years old and make $60,000 per year, your insurability limit is around $1,500,000. You justifiably can own one policy worth up to $1,500,000 or multiple policies in varying coverage amounts that add up to a maximum of $1,500,000. If you think you weren’t quoted enough coverage and are still under your insurability limit, you have some options. 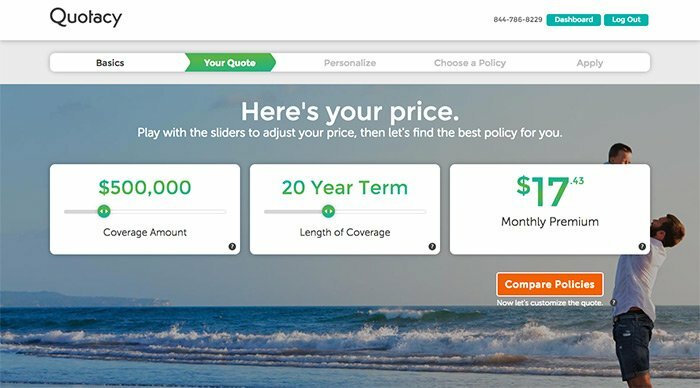 You can run quotes for a higher coverage amount or you can consider purchasing more than one policy. 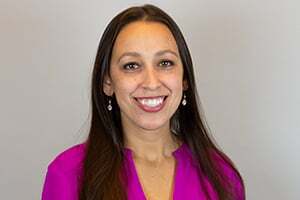 Susanne Garcia is a healthy 45-year-old and makes $65,000 annually. She has a mortgage loan in the amount of $250,000 and has 15 years left on the loan. She’s shopping for life insurance to make sure that if anything happened to her, her husband could pay off the mortgage and not be forced to uproot their two teenage daughters. She gets a life insurance quote for a 15-year term with a face amount of $250,000. She’s quoted at $19 per month. She doesn’t think that coverage amount is sufficient because she also wants to be sure her children can afford college tuition if she died before they graduated. Susanne is also quite traditional and wants to make sure there are funds available for her daughters’ future weddings—even if she isn’t alive to attend. Susanne decides to also get life insurance quotes for a 30-year term with a face amount of another $250,000. She’s quoted at $37 per month. Susanne is laddering term life insurance policies. This strategy is an affordable way to have an appropriate amount of life insurance coverage during the years you need it, and allow coverage to decrease as your needs decrease. When she buys the two different policies, she’ll be paying $56 per month for the first 15 years and will own $500,000 in coverage. At the end of the 15th year, her first policy will terminate. Her monthly payments then decrease to $37 because only the 30-year term policy remains (with 15 years remaining). If Susanne died unexpectedly in year 10, her family gets two checks of $250,000 each. If she dies in year 16, her family gets one $250,000 check. If she dies in year 31, her beneficiaries do not receive anything because the two policies have both expired. However, by year 31, her teenage daughters will be independent adults most likely no longer relying on Susanne’s income. Susanne’s husband will also be in or near retirement and can fall back onto their savings. If there’s a strong possibility that Susanne’s husband or either daughter will need Susanne’s financial support the entirety of their life, then Susanne should consider a whole life policy instead. If one of her daughters were disabled, for example, this is a scenario in which having permanent coverage is beneficial. Term life insurance is the best option for most families, but if you’re working with agents who work on commission, it’s not uncommon to also be given whole life insurance quotes. If you initially thought you may have wanted whole life, but then realized you can’t afford to keep up with the payments, term life insurance is a good option. “Buy term and invest the rest” is a common saying. What this means is that instead of buying whole life insurance, buy term insurance and put the difference (the amount you’re saving in premiums) into investment accounts such as an IRA or savings account. With this strategy, you’ll have insurance protection during your family’s most financially vulnerable years. If you pass away while the term policy is inforce, your beneficiaries receive a death benefit. If you outlive the policy, you can purchase a new term policy if your family still needs more financial protection. If your family is now financially secure, once the term policy ends you can rely on your savings and emergency funds. Whole life insurance is more complex than term life insurance. When you see a life insurance quoting tool online, it’s going to be term insurance not whole. Term life insurance is easy to run quotes for, but with whole life insurance, it’s advisable to speak with an advisor so you can determine if it’s right for you in the first place. Also, you can buy participating whole life insurance which pays dividends based on the investments that the insurance company makes. These dividends can be used to pay or decrease your premiums. The cash value that can accumulate in a whole life policy may also affect whether or not you want to buy whole life. So, being able to simply illustrate how these premiums, cash values, and dividends interact through an online tool is a bit difficult. If you’re interested in getting whole life insurance, contact us here at Quotacy. We have a whole life insurance expert in-house that can help you determine if whole life is ideal for your situation and can run customized life insurance quotes for you. If you pass away while the term policy is inforce, your beneficiaries receive a death benefit. If you outlive the policy, you can purchase a new term policy if your family still needs more financial protection. What Goes into My Life Insurance Quote? To get an initial term life insurance quote, you’ll be asked your date of birth, gender, and zip code. Then you can decide how much coverage you want and how long of a term. The life insurance quote you receive is only based off this basic information. As you move through the quoting tool, you can get a more defined quote by providing additional information such as your height and weight. After you choose a life insurance plan you like, the online application just takes a few minutes. Your Quotacy agent will review it and make sure the insurance company you chose is the best fit for you. For example, if you’re a pregnant woman, we may suggest moving your application to Banner Life if you didn’t already choose them. This is because Banner will consider your pre-pregnancy weight versus your current weight. Most other companies will only underwrite you on the current weight, which obviously can make quite a difference in cost since life insurance premiums do factor in your height and weight ratio. Quotacy is a life insurance broker, which means we have the ability to offer you many options from top-rated life insurance companies. This is why we can easily move your application to a different company if they will offer you a better price. The choice is of course 100% your decision, we just want to be completely transparent and make sure you know all your options. 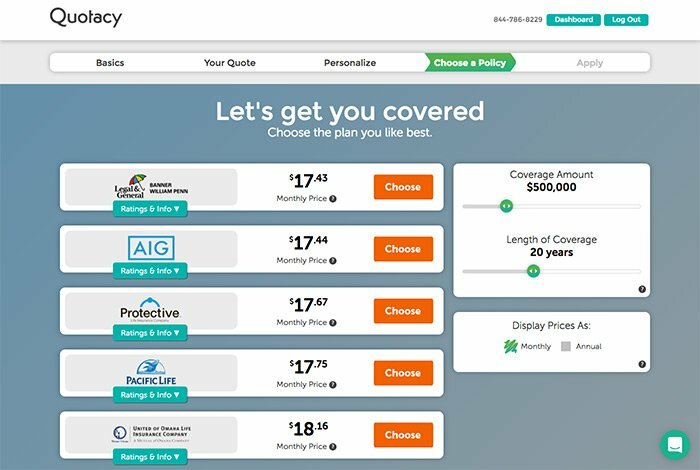 If you’ve been shopping for life insurance and have been unhappy with your quotes, give our quoting tool a spin. It’s easy to adjust the sliders and find a life insurance quote that fits into your budget. If you aren’t sure how much life insurance you need, our life insurance needs calculator is easy to use as well. If you would prefer to talk to an advisor for direct help, feel free to live chat, call, text, or send us a message. We’d love to help you protect your family with the gift of life insurance.